No matter how large the tip of an iceberg, 80% of it lies below the surface of the water. Could this be true when hiring “right people for right jobs”? It’s true because what we see on the outside or surface may very well not be true on the inside. A manager who is hiring will want to know the skills, experience, ability, and qualifications of potential candidates. Applicants are invited to send through their curriculum vitae or resumes. This should reflect the person’s personal details, employment history, experience, education. as well as qualifications, achievements, and references to contact. It may not be surprising that many applicants are willing to lie, misrepresent, over-embellish and falsify information. Often background checks and criminal records are used. Human Resources departments are there to support and help managers make decisions. Selected applicants are then interviewed for the position. The purpose of the interview is to experience the prospective candidate in real life to make an informed decision. Managers may look for demeanor, appearance, behavioral traits, attitudes, how the person thinks, responds, and perhaps get a sense of their values. Sometimes managers want that “gut feel” to make sure. Most companies stop here. Managers then select their candidate and make them an offer. 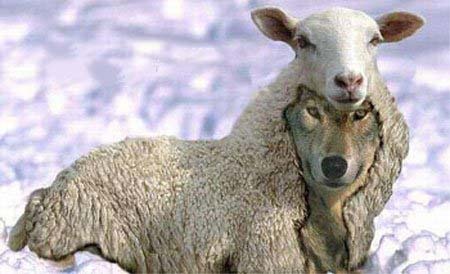 It is possible, and often the case, that few months we discover that what we thought was a sheep is actually a wolf. There may be many cognitive biases involved in our decision making during this stage. Most managers may make up their mind whether to hire or not hire a candidate within the first five minutes of an interview. Often they spend the rest of time justifying that decision. Point is: much can be skewed during both the “past” and “present” of the hiring stage. How can we determine: potential, likely behavior, thinking style, passion and interest in the job? How can we determine if someone is likely, to be honest, maintain integrity, possess reliability and good work ethic, and not do drugs on the job? The Profiles XT and Step One Survey II are excellent tools to help your company achieve these objectives. Feel free to contact us to discuss solutions for your organization. Sign up for our monthly newsletters and updates! *Synergistic Outcomes promises to not use your email address for any other reason than this purpose. You have the option to opt out at any time.